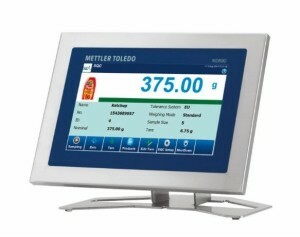 The IND890SQC terminal is used to control the consistency of the weight of a product and eliminates product giveaway from over-filling. Moreover, the IND890SQC terminal meets the requirements of an effective production control system; it is fast, simple to operate and reliable. SQC-890 also helps to ensure production of high-quality products in line with international and national net content legislation as well as global guidelines, including the International Features Standards for Food (IFS) and British Retail Consortium (BRC). In addition, the SQC-890 application enables the control of illegal under-fillings, which can be monitored, documented and then eliminated. Net content control impacts a company’s profitability by reducing product giveaway through overfill. A new net-content control terminal makes data collection fast and easy for every operator, and provides reports for real-time intervention – all at the touch of a button. The system provides two statistical reports for internal quality checks and for auditing proposes. The reports can be exported to a PC, a server or via memory stick. IND890’s robust IP69K-protected stainless-steel housing is designed to survive in the harshest industrial environments. All components are specified to ensure long service life. IND890SQC helps to ensure production of high-quality products in line with both country specific net-content legislation and globally relevant guidelines, such as the International Featured Standards for food (IFS) and British Retail Consortium (BRC).